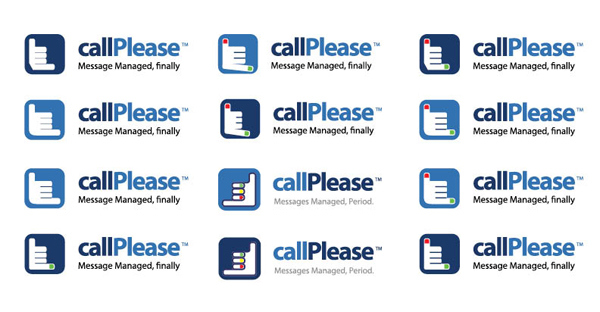 callPlease is a communication hub making it easy for a boss and an assistant to share, track and manage calls more efficiently across all devices. Also, great for a single user. 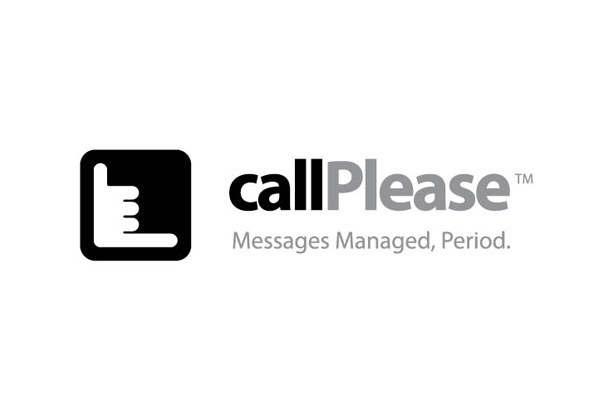 CallPlease is a cloud-based service that keeps everyone in sync about a call from start to finish talking over where most communication vehicles end View the application in the Apple Store. When I was hired for this project, one of the most important tasks was to create a unique concept to be used as an iPhone app icon, it should be unique, clean, simple with a professional feeling and easy to understand. As we know there are thousands of iPhone apps and here we can get an idea about some ideas created by another creatives. The brand name is really simple and meaningful, so what if we create a visual concept focused on the name callPlease. 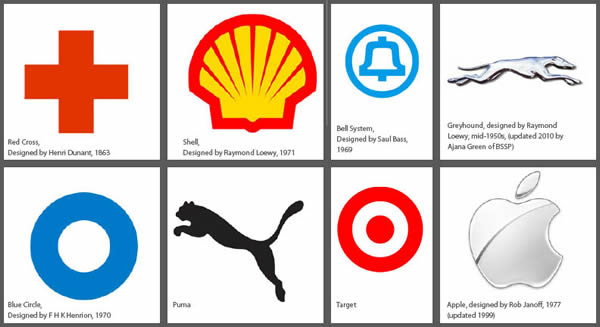 We made a research looking for logos that represent their brands names literary: apple, shell, puma, red cross, target, etc, but if we see these logos are representing elements such an apple, a shell, a puma, a red cross, a target, a Bell, etc. 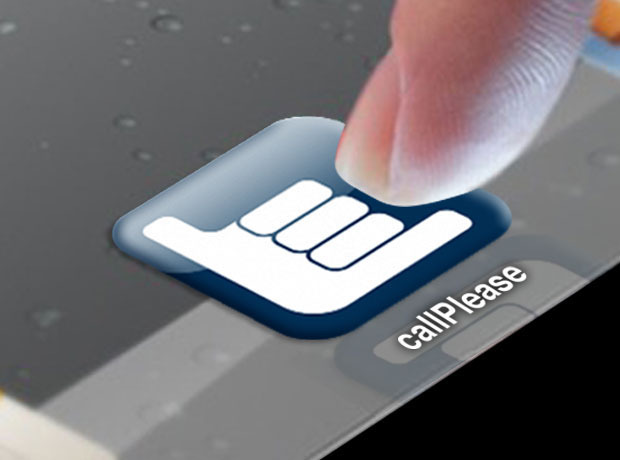 Is CallPlease an element that can be represented? certainly not, CallPleae could be interpreted as an action, it is when you say to your friend – Call me please – but our goal is to create a visual element that can be interpreted without words. Then the question is: How can you say to friend - call me please – without using words? Is there any visual element or symbol that could help me to represent Call Please? It is clear these are great logos, but all of them represent objects, elements that in some way exist physically; apple, shell, puma, cross, target, Bell, etc. 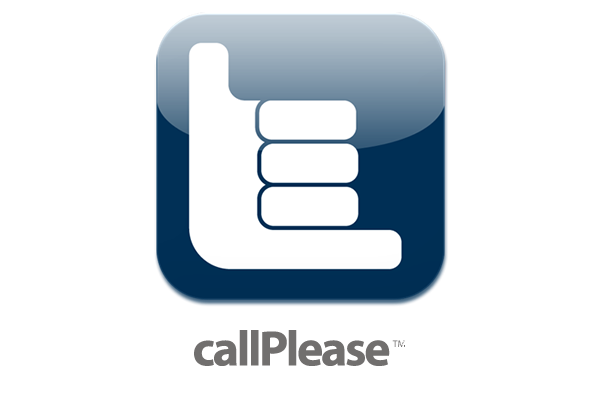 But what is “CallPlease” the closer element to this words combination is a phone icon, Is this a good symbol? It means “CallPlease” literally? Good try, but this is not what I’m looking for. 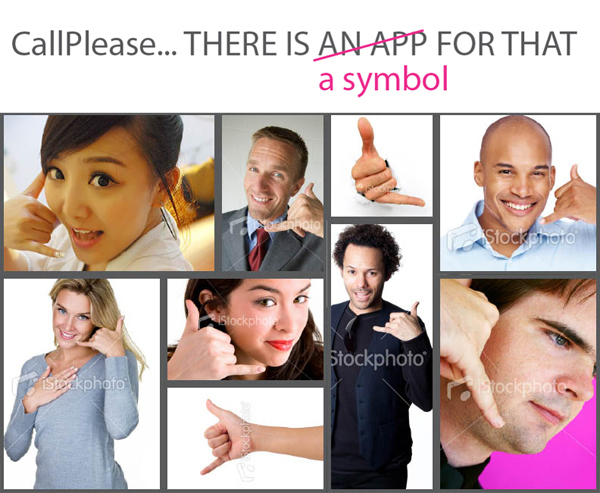 Why the phone icon can’t be used as a “literally” representation for CallPlease? Well because this combiantion of words more than a objet represents an action. Lets go back to the mind-map. This area helped a lot to get the right solution, I found some important keywords to create the concept: phone, calls, hand, mouth, ear and human interaction, in addition “Call Please” is an expression used thousand of times every single day around the world. 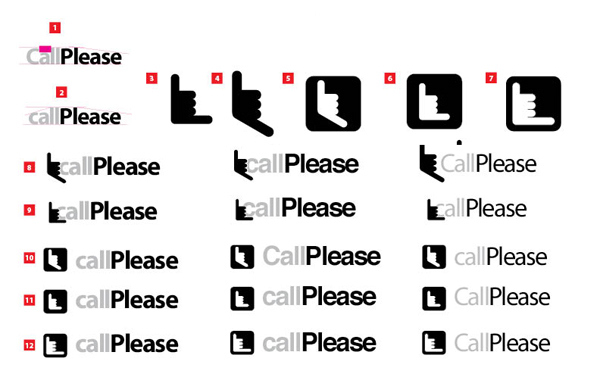 Is there any visual element or symbol that could help me to represent Call Please? 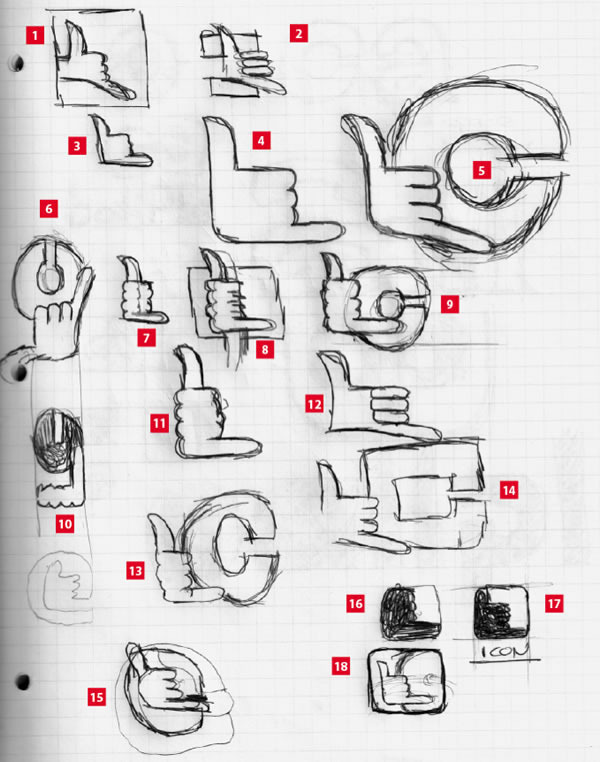 Here we have some vectorized ideas, not color yet, Here we testing some hand shapes combined with the company name, we suggested to the client to start the name with lower case, we understand for grammatical rulers the client is used to write CallPlease, but using a lower case C, will give a better appearance to the logotype. The hand symbol fits perfectly inside the iPhone app box, it is the perfect support for the brand name, the color on the icon should get the same color on the work “call” to establish a direct relation between these elements . In the following images you will see the logo symbol in color, combined with the company’s name. There is some small variations on the color. This is to give you a better idea how the logo looks in different applications and devices and help to make a decision about the direction we should take to create the final version. The clients really liked the concept proposed, but they wanted a better representation of the hand to transmit the idea in a direct way. We spoke about nails, modify the hand shape, use the application colors and other options represented in this page. 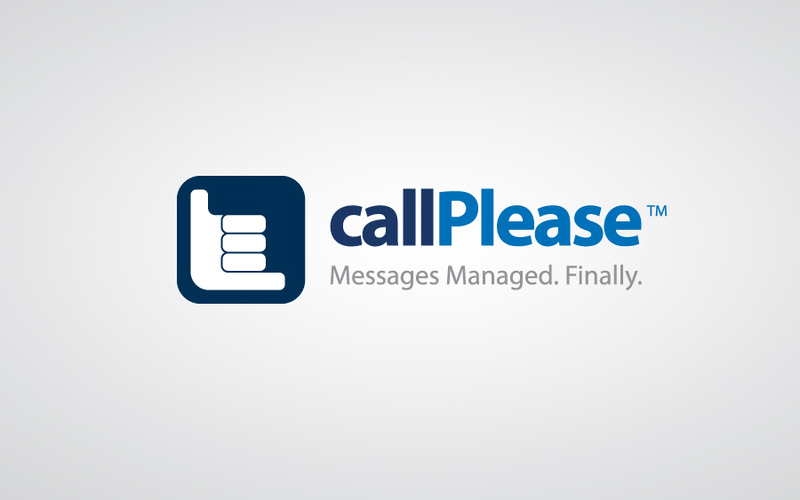 I hired Javier to do the branding for the new mobile APP named CallPlease. It’s a unique product that did not lend itself to obvious branding. Javier created graphics that fit exactly what we had hoped for, professional yet fun and out of the box. I can only give him my highest recommendation, as he fully met our expectations, and is an absolute pleasure to work with!